Want To Push Your Basic Handgun Shooting Skills To The Next Level? 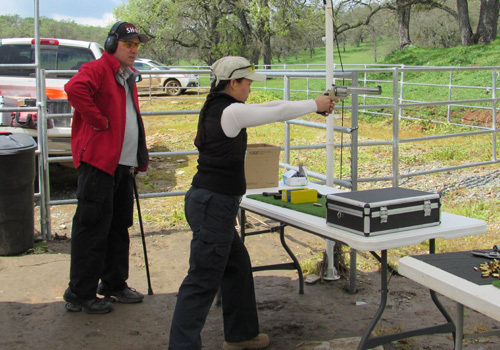 Already Understand Handgun Operation, But Want To Learn To Shoot In a More Dynamic Setting? Book a Class Today! Book My Class Now! 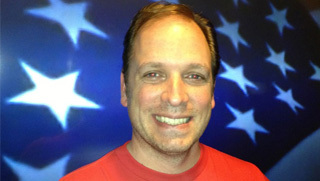 The exact wording of the 2nd Amendment to the Bill of Rights is “A well-regulated militia being necessary to the security of a free State, the right of the People to keep and bear arms shall not be infringed.” This means that every citizen of the United States has a Constitutional RIGHT to own a firearm for self-protection. Not only self-protection but in defense of those unable to protect themselves in a potentially deadly confrontation. When your life is being threatened, you cannot waste time responding to the situation. The bad guy isn’t going to be slow in trying to harm or rob you. My Intermediate Defensive Handgun Shooting Course will provide you with a solid beginning in using your weapon properly and responsibly. There is no better time than right now to be prepared to defend yourself. Click on the “Book My Class” button to begin your training today. To own a firearm, you need to have a reasonable skill in handling the weapon. That is why I offer an Intermediate Defensive Handgun Shooting Course. In this training session, you will acquire hands on learning in the proper way to handle a firearm. But, I do not stop there. I make sure you have the skills to shoot with confidence and true on target. It does no good for you to simply learn how to hold a gun. Guess what? You will enjoy the training as well. This is serious training, but there is no reason you cannot have fun in doing this course. The perpetrator does not care who gets hurt or killed when a crime is being committed. The Intermediate Defensive Handgun Shooting Course is how you level, and often improve, the playing field. The things you learn in this class gives you the information you need to acquire proficiency in firearm handling. As I have said all along, this particular class is in learning self-defensive shooting. So what are the steps in training in this course? It all starts with you becoming familiar with your firearm. Your firearm will become a figurative extension of your hand. Safe handling of the firearm is key in the beginning. After you become familiar with your firearm, you begin the shooting phase of this firearm training course. I place you on a range where you will demonstrate shooting skills at an enhanced level. Enhanced is my way of saying you will KNOW how to shoot and to shoot very well. Only when you have shown me you can shoot will I move you into Defense Shooting. I like to say that you will shoot ”fast, straight, and hard with confidence”. 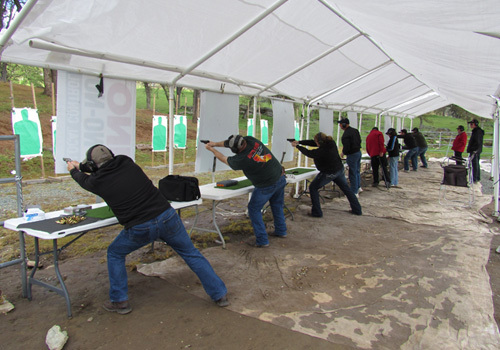 This class will also prepare you for our Advanced Handgun Shooting Class. Besides being a solid shooter able to defend yourself, there are a few things I believe will be a benefit as well. As I mentioned, this course is designed so that you enjoy the process. However, I have bigger things for you to leave the course with as well. Discipline in shooting and your response to the situation that might occur. If you have discipline, you rule the situation. Understanding the firearm you will possess. This course allows you the opportunity to know your firearm, or “friend”, better. Confidence is key to this training. I will not allow you to leave feeling unsure about your ability or knowledge. People tell me all the time they come with a fear of guns. When you complete this course, the one trait you will gain is RESPECT for the firearm. The gun is not to be feared…it is to be something you depend on in a moment of crisis. 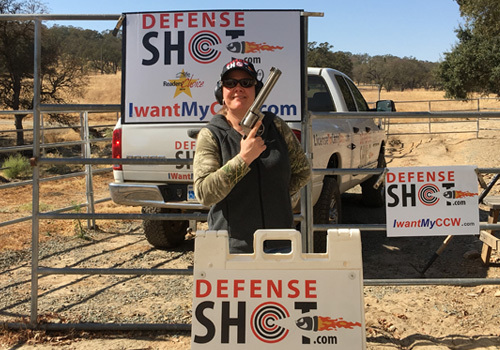 Book Your Intermediate Handgun Class With DefenseSHOT Today! Our cultural climate is becoming more aggressive all the time. There are the bad people out there that want to do you harm. Burying your head in the sand is not the answer. Being prepared to defend yourself is the answer. The Intermediate Defensive Handgun Shooting Course is designed to give you peace of mind. You don’t know when the walk through a parking garage or down your local street could become a dangerous situation. Don’t let the criminal element make you live in fear. I promise you that with what I will teach you, you will gain speed and confidence in your shooting. This is not me bragging…but rather my experience and knowledge proving what you will gain from this course. Don’t hesitate. Make the decision that you are the one who will be controlling a potentially bad situation where a firearm is required. Click the button now and begin your walk of confidence.